Dhaka, Dec 27 (Just News): Finance Minister AMA Muhith today criticised the left-leaning political parties for their programme of laying siege to Bangladesh Bank protesting irregularities in the banking sector. “They (left-leaning parties) are nonsense… they do nothing. They don’t have any existence. They have one or two leaders, that’s all,” the finance minister said. 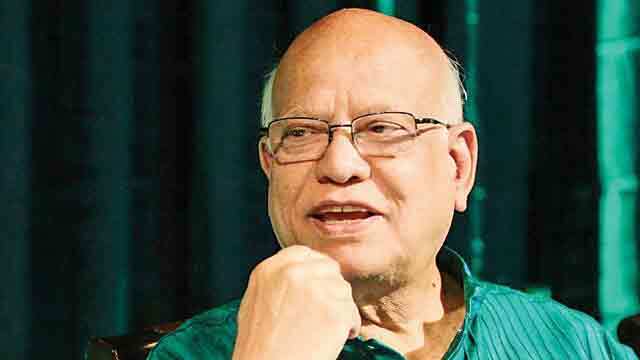 Muhith’s criticism came while he was talking to reporters after a meeting at the cabinet division this afternoon, hours after the left-leaning parties’ protest programme. Earlier in the day, a number of left-leaning political parties led by Communist Party of Bangladesh (CPB) laid siege to the central bank headquarters in Dhaka’s Motijheel area protesting the recent irregularities in the banking sector. The minister further said questions may be raised over the irregularities in the banking sector but laying siege to the central bank is childish.